The International Space Station serves as humanity's orbital research platform, conducting a variety of experiments and research projects while in orbit around the planet. 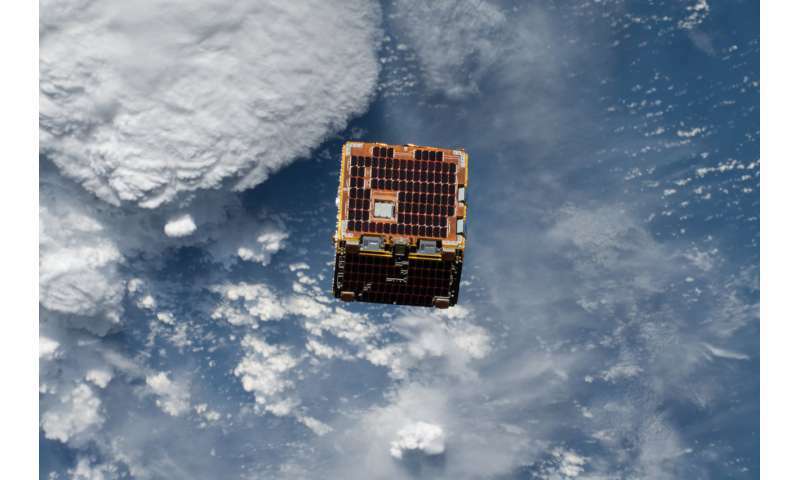 On June 20, 2018, the space station deployed the NanoRacks-Remove Debris satellite into space from outside the Japanese Kibo laboratory module. This technology demonstration was designed to explore using a 3D camera to map the location and speed of orbital debris or "space junk." The NanoRacks-Remove Debris satellite successfully deployed a net to capture a nanosatellite that simulates debris. Collisions in space could have have serious consequences to the space station and satellites, but research has shown that removing the largest debris significantly reduces the chance of collisions.